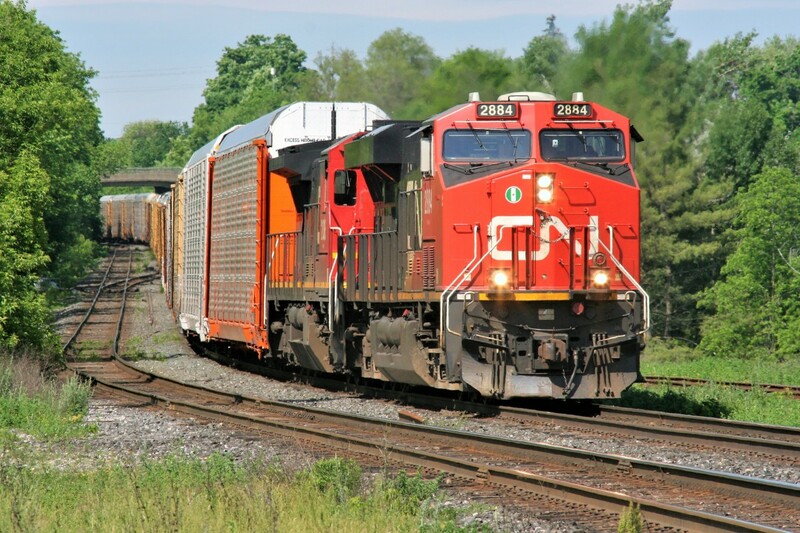 Railpictures.ca - Jason Noe Photo: A long CN eastbound train with 2884 and 2036 rolls by the platform of the Georgetown station on an summer morning. | Railpictures.ca – Canadian Railway Photography – photographie ferroviaire Canadienne. Caption: A long CN eastbound train with 2884 and 2036 rolls by the platform of the Georgetown station on an summer morning.